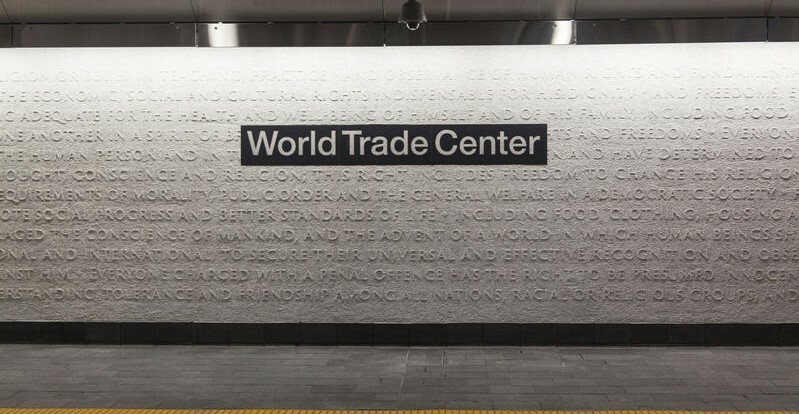 The official re-opening yesterday of the subway station at the World Trade Center’s Cortlandt stop also brought the unveiling of “CHORUS” by Ann Hamilton. 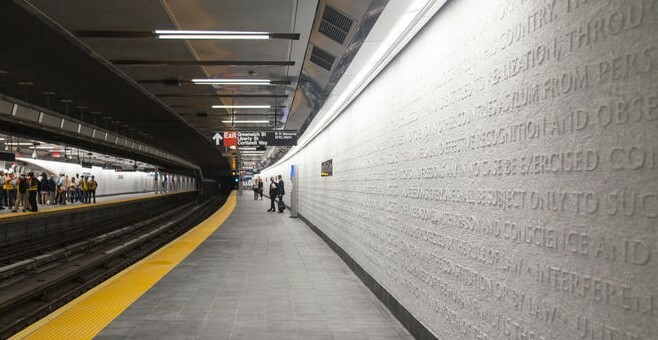 According to the MTA Arts & Design committee Hamilton’s marble mosaic was commissioned soon after the station was destroyed in the 9/11 terrorist attacks. 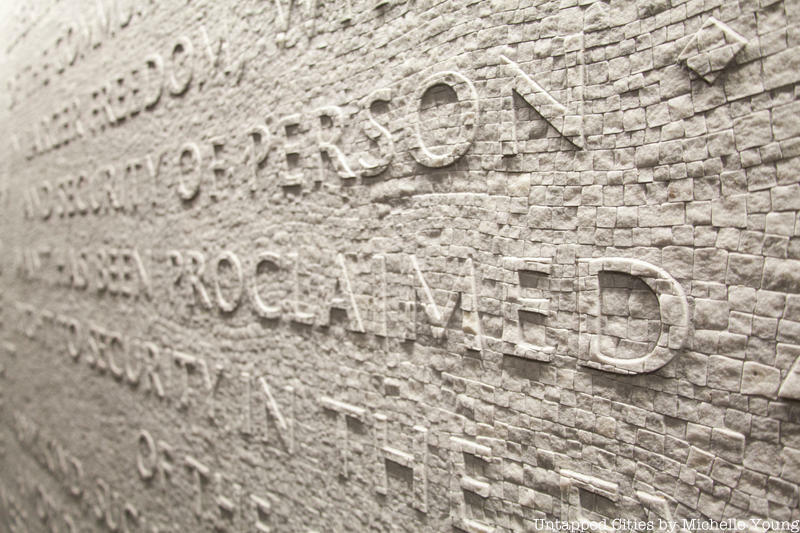 This entry was posted in Events on September 9, 2018 by Julie Mellby.